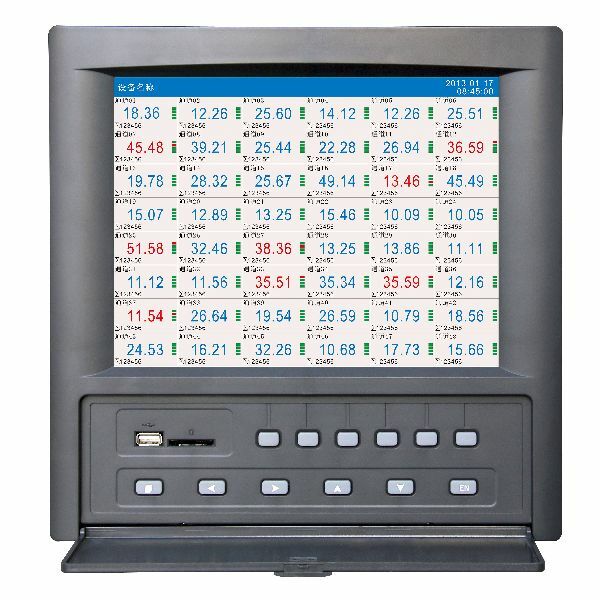 Unlike conventional record that record data on charts, the Instrument displays the measured data acquired in the internal memory to a LCD in the form of wave forms, numerical values, and bar graphs. The measured data can also be saved to external storage media such as U Disk.The data that have been saved to an external storage medium can be displayed on a PC using the standard software that comes with the package. By using the RS232C or RS485 interface that comes standard with the Instrument, the data can be transferred to a PC (client function).